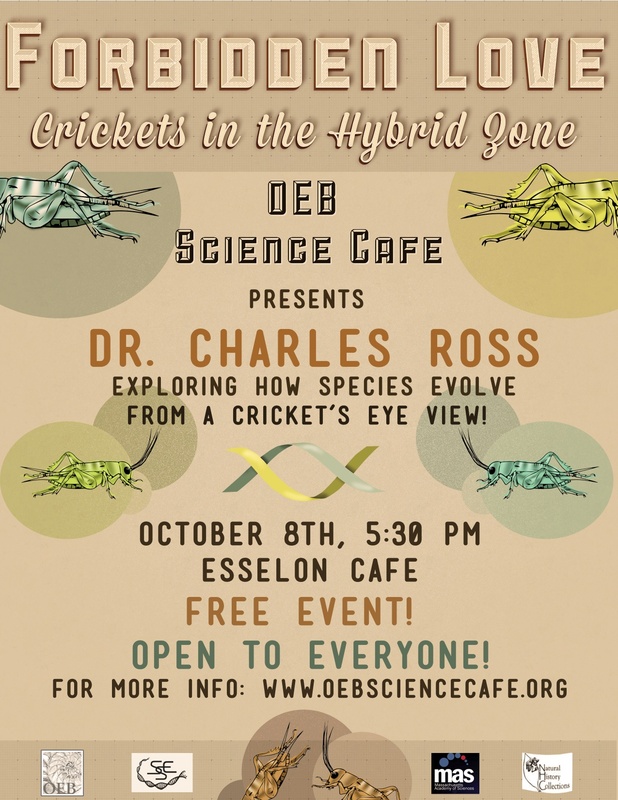 Dr. Charles Ross of Hampshire College gave us a cricket’s eye view of the world, exploring how species interact, hybridize, and yet stay distinct. On the horizon in cricket work are teeny tiny cricket trackers that he intends to use to track how crickets are interacting with one another. Very cool.